Good morning and welcome back! Was this email forwarded to you? Sign up here. Oil prices have been rising this week. But here's the more interesting thing: they're not going bananas these days, not at all, despite a good dose of geopolitical turbulence and market intervention, including U.S. sanctions. The big picture: Prices are up in recent days (Brent is pushing $62 per barrel and WTI is above $54), but they're still more than $20 below the elevated early-October levels, which were 4-year highs. "Just wanted to point out that we are living in a scenario where the U.S. is sanctioning Venezuelan crude oil exports (effectively) and Iranian oil exports, OPEC is cutting, Alberta is curtailing, and oil price today is still around $60/54 (brent/WTI)." The intrigue: I chatted with Ladislaw about why this is happening, when it really should be a cocktail for very high prices right now. “We are in a time where there is a lot of market intervention for geopolitical reasons and there is little to no geopolitical risk in the price right now," she tells me. “It's hard to move prices when the prevailing sentiment is that markets are very well supplied in a number of different directions, and there is an economic malaise around expectations for oil demand growth,” Ladislaw adds. Yes, the sanctions are sending Gulf Coast refiners who use heavy Venezuelan oil searching for replacement barrels and that will affect pricing for specific grades. Venezuela is an important supplier, as the chart above shows. But, overall, the market is absorbing the news for now. Where it stands: U.S. production, already at record levels, continues to rise and is now approaching 12 million barrels per day. Ladislaw notes that it has consistently been beating expectations. Venezuelan production has been cratering for a while, so that's somewhat baked into the cake. But she points out that the landscape has changed in other ways that also temper the friction, such as: “We have already done Iran sanctions once before. There is a little bit of muscle memory in the market for dealing with an environment in which you have to find alternatives for Iranian barrels." The latest: Via Reuters, "Oil prices steadied after two days of gains on Thursday, as lower-than-expected U.S. fuel stock rises and U.S. sanctions on Venezuelan output boosted investor confidence but U.S.-China trade tensions weighed on sentiment." My colleague Amy Harder broke some news last night: Rep. Alexandria Ocasio-Cortez (D-N.Y.) and Sen. Ed Markey (D-Mass.) are set to unveil legislation laying out a Green New Deal as soon as next week. Driving the news: A spokesperson for Markey confirmed the offices are working on legislation, but said there is no final text and timing isn’t set. An inquiry to Ocasio-Cortez’s office wasn’t immediately returned. Varshini Prakash, co-founder of the Sunrise Movement, also said legislation is due as soon as Wednesday or Thursday of next week. The youth-led group has been at the forefront of the GND movement. The intrigue: It’s unclear to what extent the proposal will adhere to a document circulating that describes the policy in broad strokes and dates back to Ocasio-Cortez’s campaign website. It's a broad-brush template for a sweeping climate, energy and economic plan that includes: a transition to 100% renewable electricity, massive federal investment in cutting greenhouse gases, a federal jobs guarantee for people working in the low-carbon transition, and more. Quick take: Any big legislation is dead on arrival now and GND backers will tell you as much. The plan instead shows how advocates and lawmakers are laying down markers for how Democrats might tackle climate change if they regain control of Washington in the 2020 elections. But even then, they'll confront the gigantic hurdle of promoting aggressive policies when it's not expected to see Democrats holding a filibuster-proof majority in the Senate. Going (now): Tesla's CFO Deepak Ahuja is leaving the company, CEO Elon Musk said at the end of an earnings call on Wednesday. Ahuja is the latest executive to leave Tesla after a string of departures last year, Axios' Courtenay Brown notes. Ahuja himself had left the company after being CFO from 2008–2015, and later returned to the position in February 2017. He will remain an adviser to Tesla, but will be replaced as CFO by Zach Kirkhorn, current VP of finance. Profiting (barely): Tesla said it was profitable for the second straight quarter, though it reported a slightly smaller profit than analysts expected. The company also reassured investors that it had "sufficient cash on hand" for a bond payment due in March, Courtenay reports. Tesla said strong sales were offset by cheaper Model S and Model X vehicles in China, as well as the lower-priced version of the Model 3. Additionally, the company expects between 360,000 to 400,000 vehicle deliveries in 2019, which would constitute a 65% increase from last year. The company's stock is down roughly 4% in after-hours trading. "The announcement came quickly and with few details, but Musk said the company 'might be ready' to unveil a Tesla pickup 'this summer.' That truck will be something 'special' and 'not like anything else,' Musk said on the call." 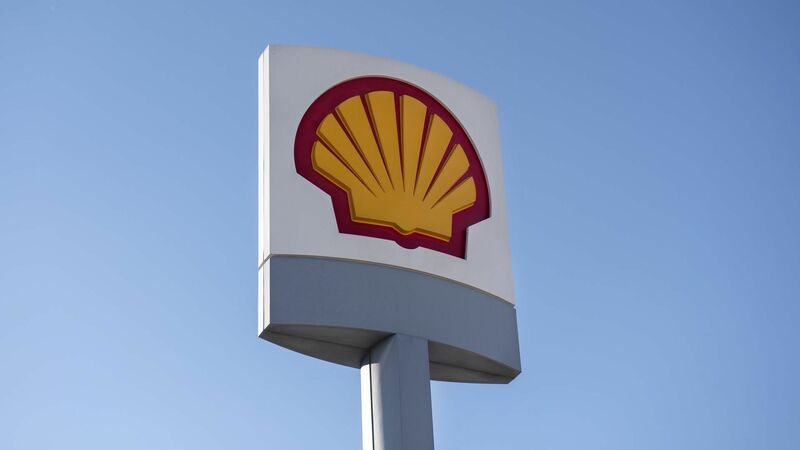 "Royal Dutch Shell Plc came through a quarter of volatile oil prices to beat earnings estimates, delivering a surge in cash flow the company said will underpin 'world-class' returns to investors," Bloomberg reports. By the numbers: The company on Thursday announced a $5.7 billion Q4 profit and a full-year profit haul of $21.4 billion. The full-year number is a 36% jump from 2017. Cash flow from its operations was $22 billion for the quarter. The big picture: Via the Wall Street Journal, "The company’s results reflect a broader effort by the energy industry to be profitable with oil prices at $60 a barrel or lower following the 2014 downturn, when prices hit rock bottom." What's next: Exxon and Chevron report their earnings tomorrow morning. Speaking of Shell, they're buying the California-headquartered electric vehicle charging and software company Greenlots, the companies said Wednesday. Why it matters: It's the latest sign of multinational oil-and-gas giants increasingly investing in the EV charging and battery space. Details: "Together, the companies will offer best in class software and services that enable large-scale deployment of smart charging infrastructure and integrate efficiently with advanced energy resources like solar, wind and power storage," the companies said in a joint statement. The companies did not disclose the size of the deal, which is focused on U.S. operations. Greenlots will be a subsidiary of Shell New Energies U.S., but "Greenlots will retain its brand identity and leadership team," the announcement states. Shell's 2017 purchase of the European charging company NewMotion. Total's 2018 acquisition of the charging firm G2mobility. Last year, BP bought the U.K. charging network Chargemaster. U.S.-based Chevron is among the investors in ChargePoint. The bottom line: It's part of the industry's wider diversification into renewables and low-carbon tech, even though oil-and-gas remains the overwhelming majority of their portfolios. Axios Expert Voices contributors Magnus Korpaas and Apurba Sakti take stock of the Norwegian government's strong, years-long push for EV adoption via incentives, high taxes on internal combustion cars, charging station deployment and more. Where it stands: The demand for EVs in Norway — which accounted for nearly one-third of all new cars sold in the country in 2018 — has exceeded their supply, with some consumers having to wait until 2020 or beyond to get their EV of choice. Why it matters: In a 2016 study, only 4% of Norwegian EV owners indicated that they might go back to internal combustion engine vehicles in the future. The experience seems to prove what was observed in the case of the transition to smartphones: Once users adjust to newer technology — even at significantly higher costs — they don’t want to go back. EVs become the preferred choice of most consumers once they try them. Range anxiety can be addressed. The electricity grid was able to absorb the additional demand for electricity in the short run. Temporary subsidies and incentives can kickstart the adoption of new green technology. Korpaas is a professor at Norwegian University of Science and Technology. Sakti is a research scientist at the MIT Energy Initiative.